30 ton gantry crane is an excellent lifting system for medium to heavy lifting requirements. The gantry crane 30 ton is typically designed into double girder so as to undertake heavy loads. 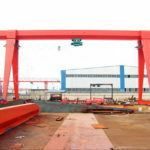 Ellsen manufactures 30 ton gantry cranes into many different types, sizes and configurations that can be applied in a range of fields, such as port, railway, shipyard, freight yard, construction and mine. We are leading gantry crane manufacturer and provide both light duty and heavy duty gantry crane to suit various lifting needs. Our gantry cranes 30 ton are available in a few main models which are very popular among clients, including A frame gantry crane, U frame gantry crane, semi gantry crane, truss gantry crane, cantilever gantry crane and portable gantry crane. Other designs are also available to order. We can customize your 30 ton gantry lifting system based on your practical requirements. 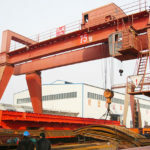 We have many different types of 30 ton gantry cranes for sale, and each type can be designed into certain height, span and form to serve a specific application. You can choose any one of the following types to best suit your needs and boost productivity for your production lines. The A type gantry crane is a typical gantry lifting system, widely adopted for indoor and outdoor uses. According to different ways of travelling, the A frame crane can be divided into rail mounted and mobile type. It can be designed in a wide range of capacities ranging from several tons to hundreds of tons. In a normal circumstance, this 30 ton gantry crane comes in box structure with advantages of high adaptability, large coverage of work space, high utilization, smooth and durable performance. Therefore, it is a perfect option for many medium and heavy gantry crane buyers. 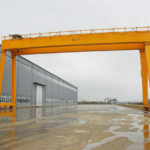 In contrast to A frame crane, the U type gantry crane markedly features larger space between the two supporting legs, making it perfect to lift and move large sized loads. This equipment is widely used in storage yards, railway, port and dock to handle bulky items. 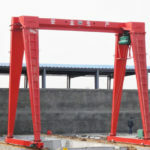 Its capacity can reach several hundreds of tons to undertake heavier lifting tasks. 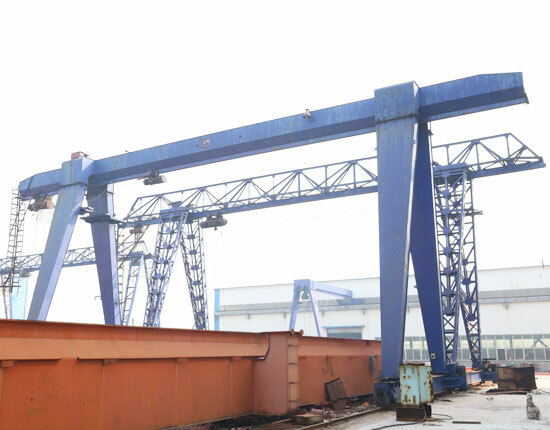 You can choose this type of 30 ton gantry crane according to your application. This lifting system is a kind of single leg gantry crane, which is preferred when you have limited work space. 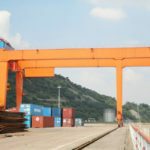 The gantry crane equipment can be applied in many indoor and outdoor workplaces such as workshop, warehouse and open freight yard to carry out various lifting jobs. You can select this form of gantry crane 30 ton as needed. 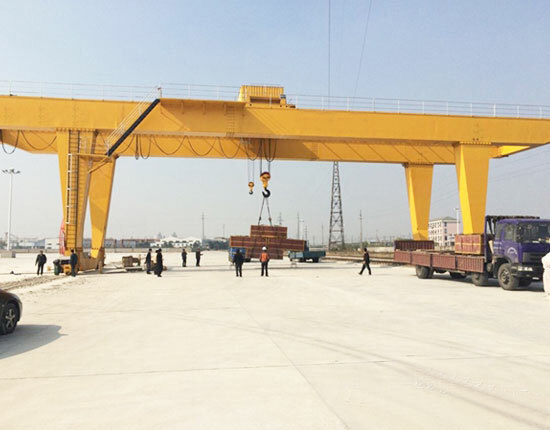 The mobile type gantry crane we produce mainly includes rubber tyred gantry crane and wheel mounted gantry crane to serve large and small lifting needs. With regard to 30 ton lifting requirement, you can choose rubber tired type. 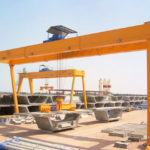 The mobile gantry crane is increasingly popular in many sectors and industries for its flexible movement, stable performance, strong mobility and high versatility. Truss type gantry crane is ideal for outdoor environment with strong winds. The truss structure design provides a small windward area so as to reduce wind resistance. It also features light weight and convenient maintenance. The truss gantry crane is more suitable for small and medium lifting requirements. Besides, the metal structure of this equipment is available in many options, such as cantilever option, light duty and heavy duty truss structure. 30 ton gantry crane can be outreached on one side or both sides of the crane to form one or two cantilevers, which can help expand work space and realize a larger lifting coverage compared with gantry crane without cantilever. 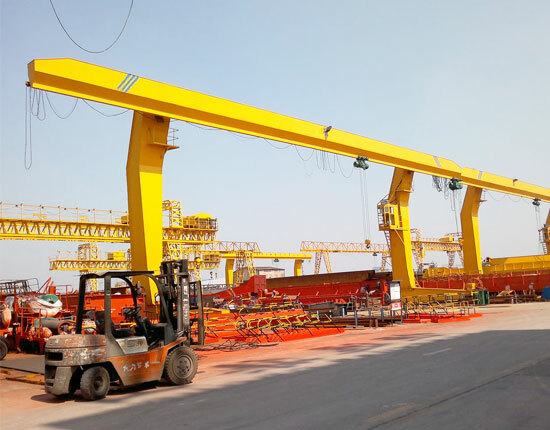 Besides the above gantry cranes, we design other types of gantry lifting solutions to serve your 30 ton lifting needs, such as container gantry crane, shipyard gantry crane, port gantry crane and ship to shore gantry crane in terms of different applications. If you are not sure which type of 30 ton gantry crane you should choose, you can contact our sales manager online to get the most suitable material handling solution. 30 ton gantry crane produced by Ellsen has many remarkable features, and it can benefit users a lot. The optimized design of 30 ton gantry crane provides high reliability and stability during operation. It realizes a wide range of applications and can be adapted in various working environments. This gantry lifting system is equipped with various safety protection devices in order to ensure a secure operation. The robust and reasonable structure ensures a safe and highly efficient operation. It can also prolong the service life of the equipment. Precision welding and high quality components help ensure the quality of the whole equipment. 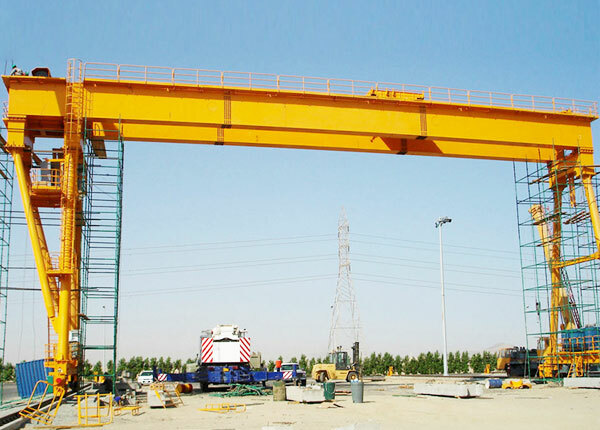 The gantry crane lifting equipment has easy installation and convenient operation. As a heavy duty gantry crane, it is usually operated by means of cab or wireless remote control. When looking for a 30 ton gantry crane, it is essential for you to take a full consideration so as to select the most suitable equipment. A right gantry lifting system can not only facilitate an efficient and safe operation, but save time and maintenance cost for you. The first step is to consider how to configure your crane. What is your requirement for capacity, lifting height, span, and size? What is your crane 30 ton used for? How is the working environment? You should think about questions like these completely to select the most appropriate type. Then you may concern 30 ton gantry crane price, quality and service the most. 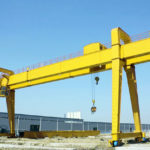 For different types of 30 ton gantry cranes, their prices vary from one another. If you would like to know the cost of a certain crane, contact us now to get a free quotation. Our overhead gantry crane is built with solid construction and has stable and durable performance. We constantly introduce advanced technology and strictly comply with manufacturing standard to ensure quality products. 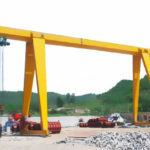 All gantry crane components are sourced from reputable suppliers. 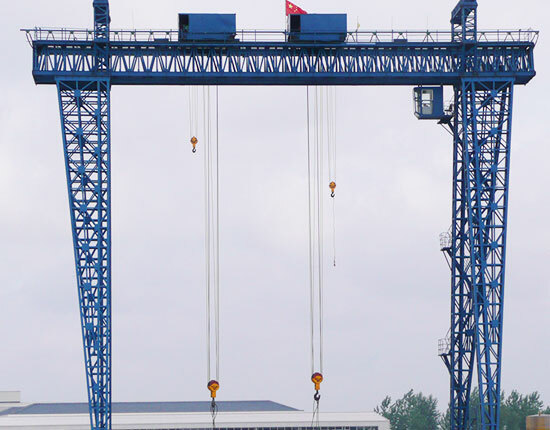 In addition, our gantry crane equipment has been approved by CE and ISO certifications. As seasoned gantry crane manufacturer and supplier in China, we provide perfect customer service for clients. We are committed to offering dependable and full service in the whole order process including equipment design, fabrication, delivery, installation and maintenance. If you want to buy a 30 ton gantry crane, please contact us online directly or fill in the contact form. Hope to cooperate with you in the near future!